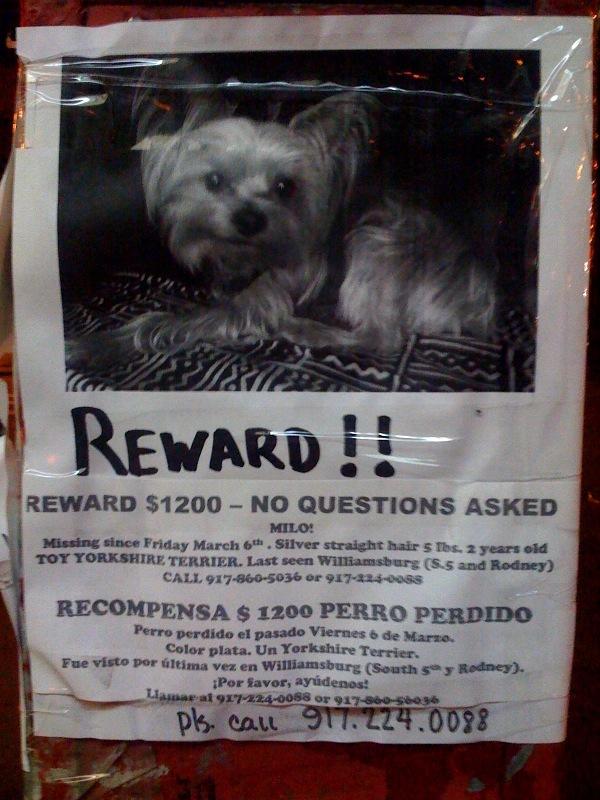 What type of jerk steals somebody's dog? For about a week now I've been seeing these flyers all around my neighborhood on every corner. 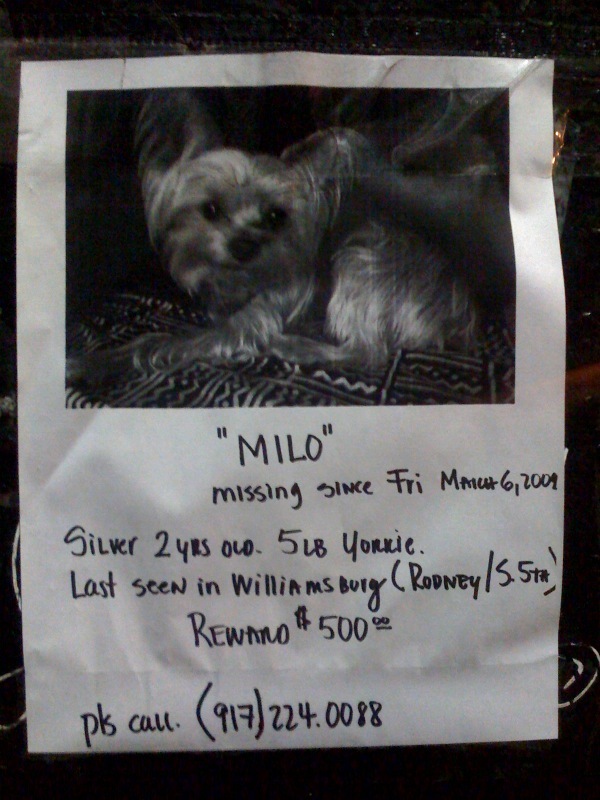 On one sign (which I didn't take a picture of) there was another flyer asking about a person who may have been seen with Milo the missing Yorkie (a guy with a tattoo on his neck dressed up as a UPS man or something like that). What angers me is that somebody would ever steal a dog — first you can tell that Milo means a great deal to his family, and next there are so many dogs waiting for adoption in shelters that it's criminal to not help those poor creatures if you can. According to this flyer Milo was last spotted around Rodney and South 5th, if anybody has any clues please call 917.224.0088. This page contains a single entry from the blog posted on March 17, 2009 7:34 PM. The previous post in this blog was Underground at L Line. The next post in this blog is Comic Burger: Superman Help!.